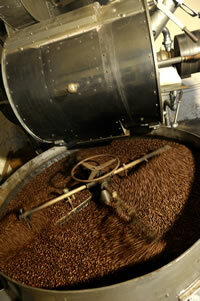 Welcome to this site dedicated to the traditional roasting of coffee, our business and passion for three generations. While you are reading this, we will share with you the love that we have for this product, which is consumed every day around the world and yet remains still so misunderstood. Committed to traditional roasting for more than 40 years, the Looze company is the only one in Belgium to have had the opportunity to work on every aspect of the coffee cycle, from the coffee plantations in Kivu in the 1950s, passing through milling and export, before setting up a roasting plant in Brussels in 1969. - Offer a complete, professional range of premium products for the breakfast table. - Put our expertise to work to serve coffee lovers, gourmets and professionals in the hospitality industry. 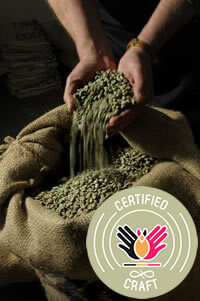 - Promote and encourage the consumption of freshly roasted coffees as a craftsman who has perfectly mastered his craft. - Open to discovery the numerous aromas and flavours as well as the extent and diversity of the multiple origins of different coffees, the prerogative of the craftsman! - Offer an adaptable and flexible service to our customers by guaranteeing daily deliveries with no minimum order quantity.